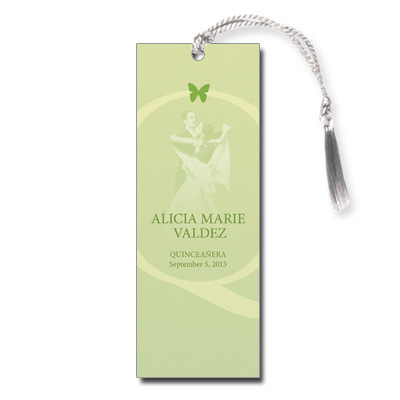 A light texture and ghosted image of a couple dancing in the background make this green Quinceanera bookmark timeless and classic. A butterfly at the top adds a youthful touch, with your personalized event information printed below. Bookmark measures 2x5.5 and comes with white tassels; light assembly required.